As a coach, you know how hard it is to find time everyday to develop individual skills and fine-tune your offense. In this excellent DVD, Coach Billy Donovan teaches you how he incorporates player development and individual instruction into the development of his offense. Donovan stresses the importance of combining separate elements of your offense into different drills so that your players will have the comfort level they need during games. Donovan builds the progression running 3-on-0, 3-on-3, and 4-on-0 full-court drills and upon completion of the drill, getting into various phases of their offense. Donovan's unique style of drilling allows players to get used to seeing the offensive progressions under pressure. It is Coach Donovan's philosophy that players have to know what they are looking for in their offense and that the easiest way for them to accomplish this is to break the offense down and continually rehearse it. 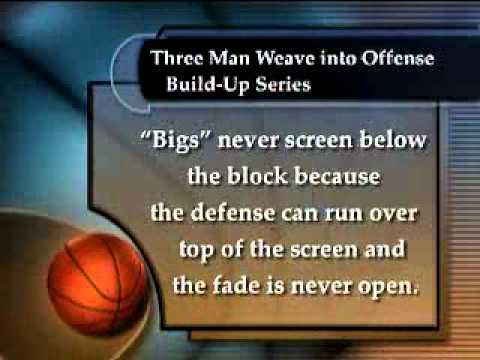 This video is a perfect tool to teach coaches how to increase the continuity of the offense while focusing on the individual players!